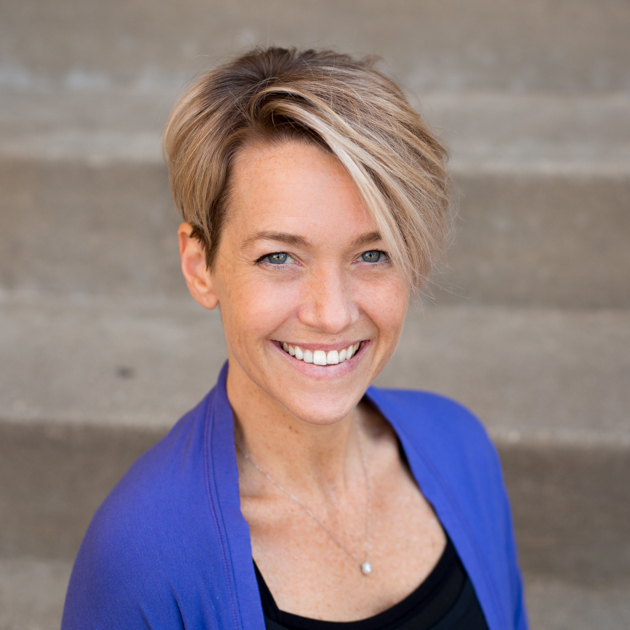 Jill has been a practitioner of yoga for over 12 years, teaching since 2009 She is the owner of multiple studios including YogaLoft Chicago, Oak Park and is co-owner of Local Yoga. As a busy entrepreneur, avid runner and single parent, she desperately needed balance in her life. A running injury and the advice of a close friend brought her to her first yoga class which happened to be an Ashtanga, 2 hour practice. She immediately gravitated towards the athleticism required, felt a sense of mental clarity and relaxation that lasted long after the class was over. and has been a dedicated student ever since. She is a Yoga Alliance Certified Teacher (E-RYT) and has received additional training in the Full Primary and Second Series of Ashtanga, Power Vinyasa Yoga and has extensive practice in Jivamukti, Baptiste and Rocket. Jill teaches a powerful, athletic and vigorous flow as well as some open level classes inspired by the Ashtanga-Vinyasa system of Yoga. Expect to be challenged! When putting her classes together, the focus is always on building a flow that is challenging to the body, but with an overall lighthearted vibe. Angela believes yoga should be something that is fun and never too serious! By linking breath to movement, along with the use of fun music, an open heart and creative mind, her classes will leave you with a smile on your face and peace in your heart. Alethya started practicing yoga 10 years ago for fitness, took it seriously 5 years ago when her best friend committed suicide. Having been vegan for 25 years and an advocate for animals her whole life, yoga began to make sense. At that point she finally understood what it meant- the union of body, mind and soul. Yoga became her life after her father died in 2015 from cancer and was the only thing that helped her cope with all the changes in her life. It kept her strong and in the midst of all the chaos she was calm. With this calm, came the ability to breath through anything. Working in advertising, one of the most fast paced industries, yoga has helped her find and keep balance in her life. Her young children, Gianna and Eric James have experienced first hand how yoga teaches love, patience and understanding. Alethya has been RYT 200 certified since 2016 and loves every minute of teaching. Julie was introduced to Yoga in 2006 by her sister and thought that a regular yoga practice might add diversity to her existing exercise routine. However, at that time Julie was completely unaware the impact yoga would have on her life. She completed her 200-hour yoga teacher training in 2013. After completing her training, Julie was eager to learn more and to continue her yoga education. In February 2016, Julie completed her 500-hour yoga certification under the guidance of Lori Gasper. She has such admiration for the strength and knowledge of the members of the yoga community. Julie continues to take workshops and seek additional yoga knowledge. She has learned from Maty Ezraty, Jason Crandell and Rich Logan. Recently, Julie received a 36-hour certification in sound healing in Arizona. She strives to provide a positive environment for her students. She is passionate about working with people of all ages and abilities and seeks to have classes that support each individual’s experience. Julie is a native of the Oak Park community and spends time with her family in Lakeside in the summers and weekends. Laurie started practicing yoga in 2000 to counter balance her love of running. She graduated with an M.A. in Social Work at the University of Chicago and went on to receive her LCSW. As Laurie's practiced evolved, her love of yoga and passion for helping others drew her to complete her 200 hour Power Yoga Teacher Training. Since then, Laurie has become an E-RYT and started her 500 hour Yoga Certification. As a mother of 2, Laurie recognized a need of yoga for kids. She co-founded FamilyFlow Yoga, LLC to bring yoga to schools and families. Through yoga, Laurie has made profound friendships and has achieved physical and mental strength. Laurie's classes will always leave you feeling better than when you arrived. Marissa has felt a connection to yoga since a young age, but her journey into the world of teaching, as well as her path to becoming a committed student began in India. While traveling through the country in college, Marissa felt the transformative power of yoga in a way she had never experienced. Marissa is an E-RYT with a practice deeply rooted in accessibility, kindness and mindfulness. Marissa has a BA in psychology and gender studies and an MS in leadership and policy studies. When Marissa is not practicing or teaching, she focuses her time on volunteering at local nonprofit organizations, developing her own business and nonprofit endeavors and spending time loved ones. Adrienne started practicing yoga when she was working in the high stress corporate world. She traveled constantly and always looked for ways to keep healthy and active while on the road. After completing her RYT-200 Power Yoga Teacher Training she was hooked! She completed her RCYT-95 as well as her RYT-500 Advanced Yoga Teacher Training. 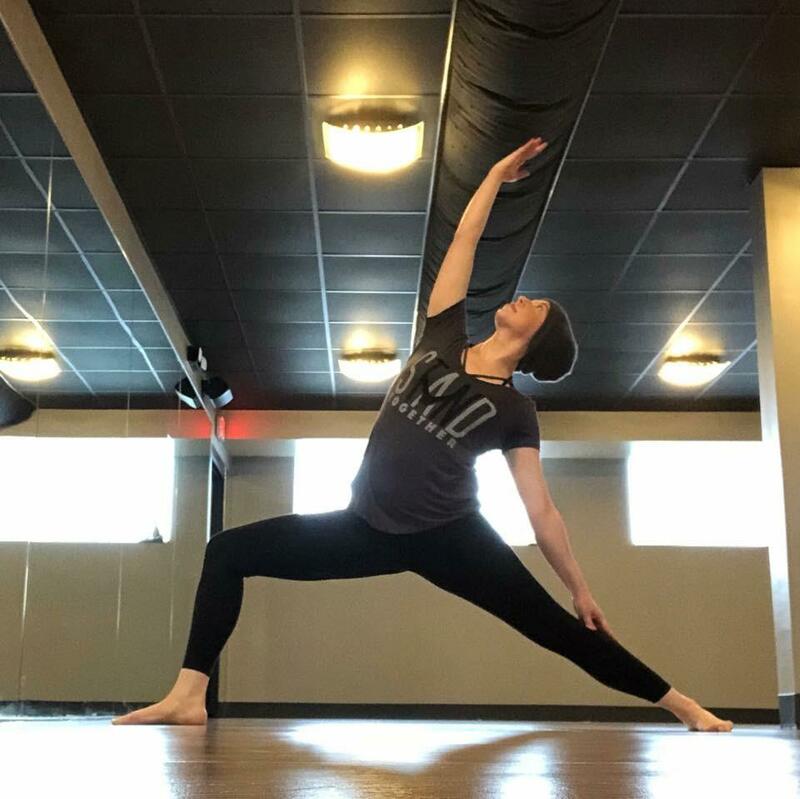 A mother of two girls, Adrienne has dedicated her time to deepening her practice and connecting with her students (even kids!) on ways to allow their yoga experience to ripple into all aspects of their lives. Throughout Adrienne’s trainings, her passion has led her to co-found FamilyFlow®️ Yoga which offers a 95 Hour Registered Yoga Alliance Teacher Training, yoga in schools and classes for families within her community. She's committed to helping people reach their full potential both spiritually and physically. Karina believes yoga is not about the poses, it is a journey and what you learn about yourself along the way. Besides yoga, Karina teaches a variety of fitness formats including spin and strength training. She has a background in Crossfit, which is where her fitness journey began, but when she stepped onto her mat for the first time, she knew yoga was her calling. She immersed herself in her yoga practice as well as teaching. She received her first certification for Yoga Sculpt in 2015 and soon after completed her 200-hour RYT certification. Karina is currently working towards her 500 hour certification. She believes yoga has many benefits for us including (but not limited to) helping with depression, anxiety, chronic pain and so much more. During her classes you will often hear Karina speak to these benefits during poses as well as learn what they are doing to benefit our mind, body and soul. Karina believes yoga is a journey on and off your mat. As she guides you through class, she allows you space to help take you through this journey and make it authentic to your practice. With her gentle guidance, sequencing and cues, she helps you travel through your practice safely. Caitlin graduated with her BA in Rhetoric and Communications from Dominican University in 2014. She took the plunge to become a certified yoga instructor and received her 200 hour RYT certification in April of 2015. In January 2017, she took flight and became a certified Aerial Yoga Instructor. The last three years of teaching has been the most amazing journey, she is forever grateful to have made a career out of her passion! "Be kind to yourself, be kind to others." Sade’s yoga journey began after stepping into her first class as a college freshman in 2013. It was not the fun arm balances and deep stretches that kept her coming back. Her inspiration, rather, developed from her ability to find a deep connection to her body and a more peaceful mind. With the aim to promote the gift of fitness and wellness through yoga, Sade became an RYT200 at Yoga Loft Chicago in 2017. She believes that yoga grants us the opportunity to constantly learn something new about ourselves both on and off of the yoga mat, and appreciates yoga's ability to help us pursue a more graceful and peaceful life. Jenn was born and raised in Arlington Heights and has lived in Oak Park over the past ten years. She received her degree in Physical Education with an emphasis in dance from Columbia College of Chicago and Northeastern Illinois University. She is currently a staff member at Oak Park and River Forest High School teaching dance, movement therapy, wellness, self-defense, and yoga. Jenn received two different 200 hour yoga certifications and has been teaching classes there over the past three years. Jenn loves the fact that yoga is for everyone no matter how you show up mentally or physically.